Looking for premium quality ground cover installation services in Bluffton or the surrounding areas? 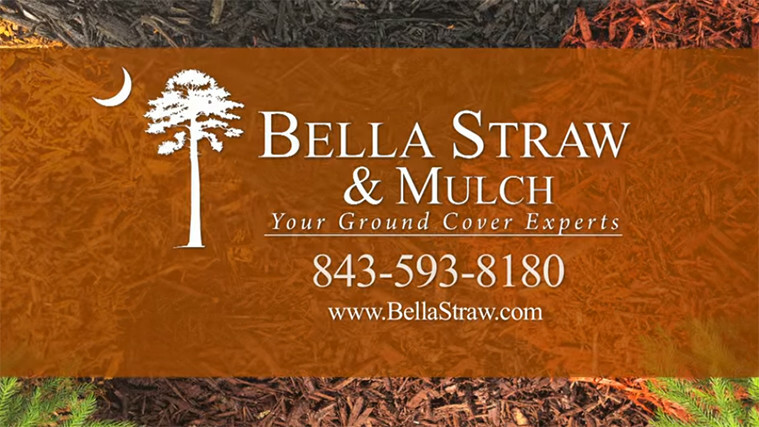 Turn to Bella Straw for premier pine straw and blown mulch installation services. Our professional crew can provide you with the effective and efficient services that you require in order to achieve a fresh, well-maintained landscape. Pine straw is a highly specialized, rodent-free and insect-free ground covering that provides quality bedding for plants and trees. Mulch, on the other hand, will insulate your soil and plants, promoting a beautiful landscape. In addition, mulch prevents weed growth, adds nutrients to your plants, protects soil from erosion, and conserves moisture. To learn more about the benefits of pine straw and mulch ground coverings, we encourage you to reach out to our experts. We would be happy to offer you a ground cover solution that meets your needs within your unique budget. Bella Straw®Bella Straw’s skilled pine straw installers are highly trained to efficiently install premium long needle and slash pine straw. We serve both commercial and residential customers throughout the Lowcountry area. Contact us to get the elegant landscape you've been looking for! Bella Mulch®Mulch blowing applies faster and smoother than traditional mulch placement, and with the reach of our 300-foot hose we are able to access hard to reach areas. The flow of mulch is controlled and tailored to each application ensuring a well-groomed installation with minimal clean up. We install everything from brown, black or red mulch, to pine bark nuggets, compost and even soils. Bella Color®Bella Color® Pine Straw is color matched to resemble the South Carolina long leaf loblolly pine needle. Treating your pine straw beds with this colorant will enrich and deepen its natural color and extend the life of your pine straw by slowing down its natural decomposition. Our team of expert installers will assess your landscape & provide you with the best option for your property. On the day of installation, we’re prompt & have the equipment to efficiently install your new pine straw or mulch. Finally, we’ll walk you through the property to ensure you’re satisfied with our work. We don’t leave ‘til the job’s done! Our products are 100% natural and harmless to humans, animals, plants and earth eco-friendly. What Sets Bella Straw & Mulch Apart? Learn The Benefits of Pine Straw! 5 Star Reviews for Bella Straw & Mulch! Bella Color and Brett do a really nice job, a beautiful look of all new pine straw or mulch for a fraction of the cost. Call Brett he does a amazing job!! - Terry S.
Bella Color has done work for us and we have been very pleased with the results. Our pine straw lasts so much longer as a result of the application and we don't have to keep applying pine straw over and over with each new season. Bella Color is extremely reliable and always on schedule. We would recommend Bella Color without hesitation. What a great idea!!!! - Kathy T.
I had a wonderful experience with Bella! My new pine straw looks beautiful, the cost for delivery and installation was very reasonable and they returned my calls and texts in a timely manner. - Joni G.
Ready to Work With Bella Straw & Mulch? Get in touch with our team below to get your free quote!